Threeonesix is a community-focused brand who offer an incredible tea range that doesn’t exploit people or the planet. Every single product purchase directly empowers the local tea farmers in Chiang Rai, Thailand. The tea was packaged in ethical paper pouches and while it was light to ship, it was not a suitable shape to pack on shelves and needed to be addressed. The plain pouches limited the branding, and would face the issue of not standing out next to competing products. Their new packaging needed to be eye catching and vibrant. It was essential for the design to visually communicate threeonesix's vision. 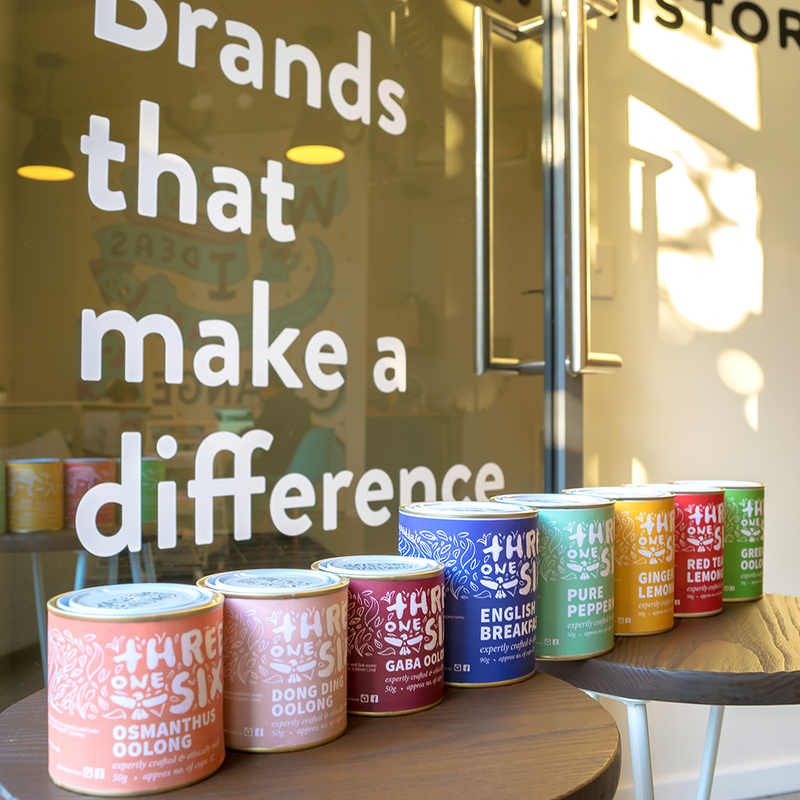 In collaboration with DrawHistory, we reinvented their packaging by introducing a new bold design. The new label serves as a storytelling device that illustrates the tea cultivation process. We also changed the overall packaging to a more eco-friendly metal tin, that can be recycled for different purposes.